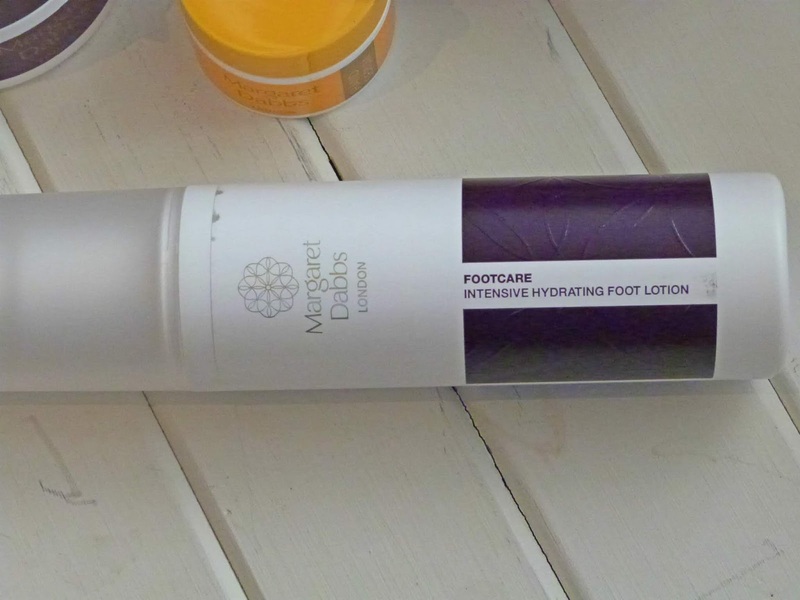 Getting My Feet Sandal Ready With Margaret Dabbs | Medical Pedicure* Review | Beauty For The Feet! 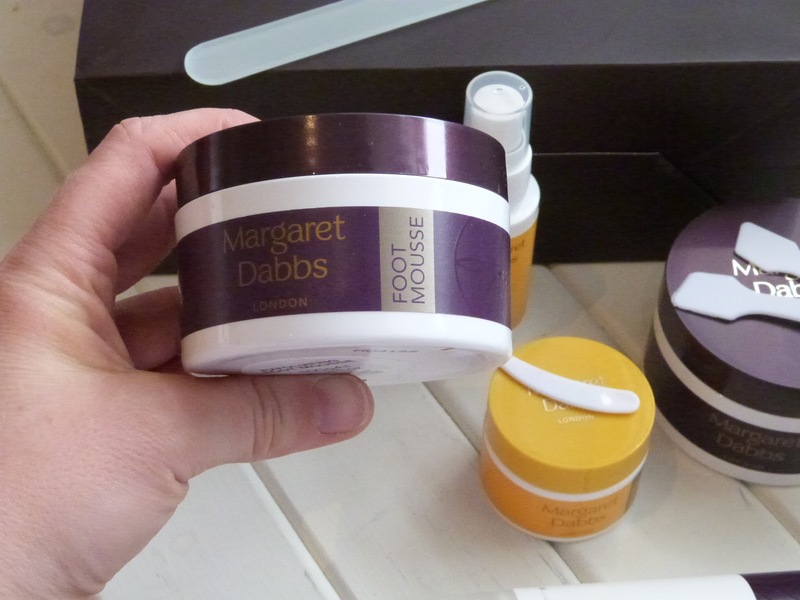 Last week I was very kindly invited down to the Margaret Dabbs Salon here in Harrogate to try out their Medical Pedicures. It is a thorough overhaul performed on your feet by a qualified Podiatrist which leaves you feeling like you're walking on air, with feet that look and feel brand new. 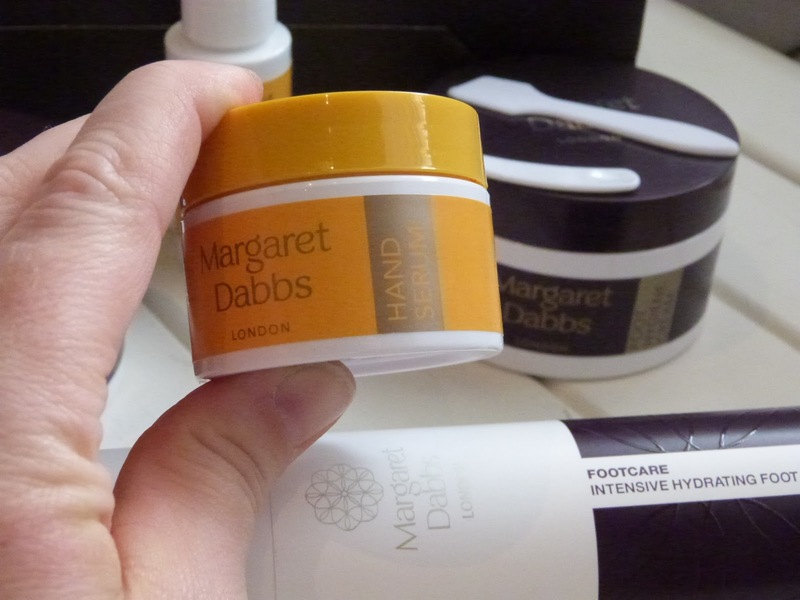 Margaret Dabbs is passionate about hands and feet. 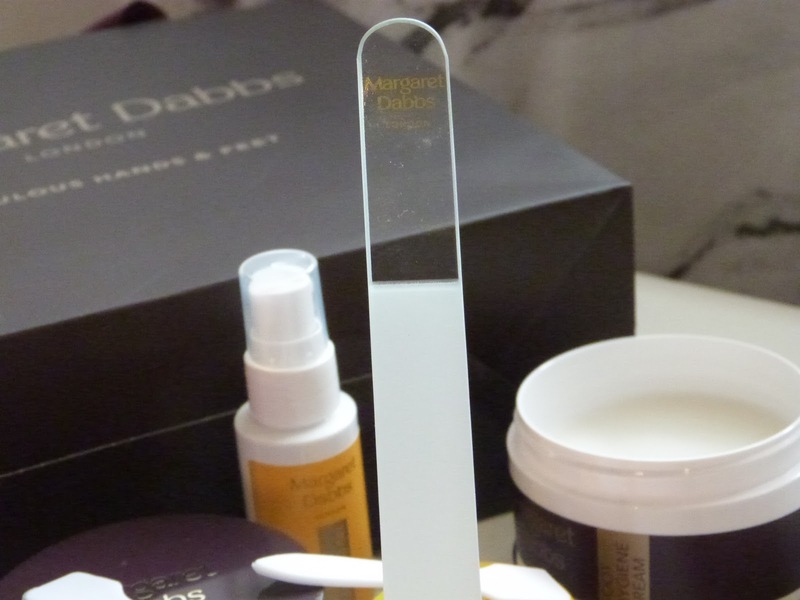 She is the celebrated podiatrist and foot expert who began Margaret Dabbs London in 1998 from private consulting rooms. It was here she pioneered the now renowned Medical Pedicure and personally crafted her line of award-winning products and treatments, after feeling that beauty products for the feet did not work on a treatment level and that the treatment remedies which were available were often unpleasant to use. With ingredients sourced from around the world, these products were formulated to meet the demands and needs of her patients, while ensuring that the scent, look and feel were unlike anyhting seen on the market before or since. If you're after something more than just a cosmetic pedicure then this Medical Pedicure is the one for you. 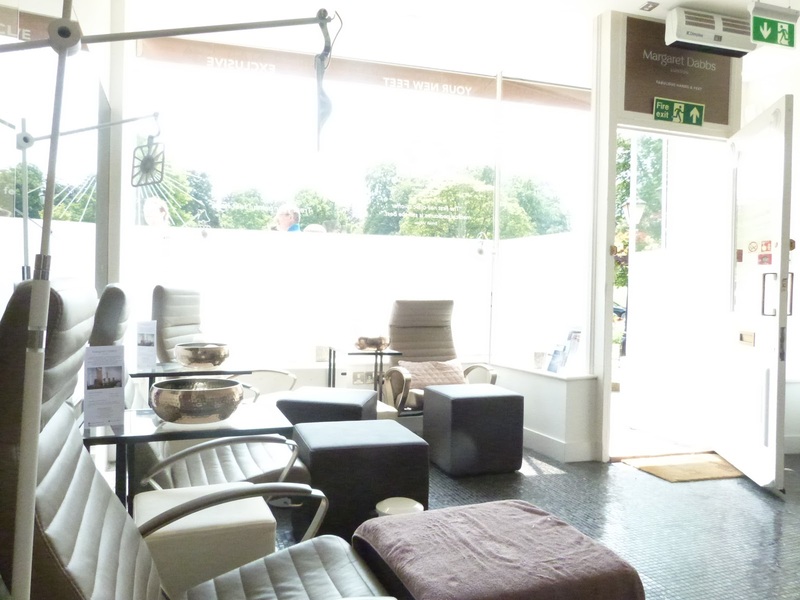 It's a 45 minute treatment which addresses all the aspects of foot health improving the look and feel of your feet. It's performed on dry feet to ensure exceptionally long lasting results. Nails are re-hydrated, leaving them revitalising and glowing, the fusion of health and beauty utilises their own range of fabulous foot care products, which are expertly formulated by Margaret herself and contain Emu Oil which is anti-ageing and moisturising properties, leaving feet looking and feeling 10 years younger! Some people have said 'did it tickle' but honestly it didn't! Because of the Dyshidrotic ecxema I suffer from the soles of my feet, it was quite a relief to have someone down there itching them for me! After the treatment was completed, I went downstairs to see Shanice who painted my nails a really gorgeous coral colour! My feet are definitely sandal ready now! 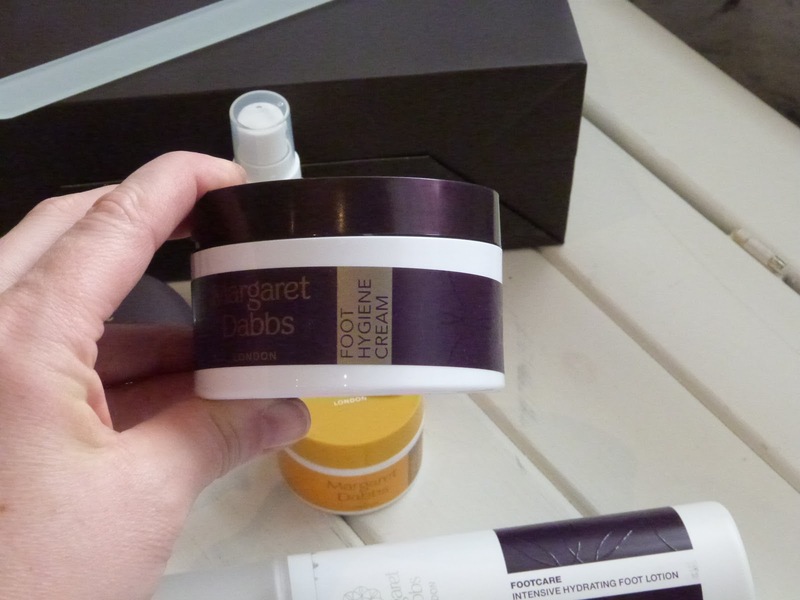 The Margaret Dabbs Salon is set out so beautifully, I always feel so relaxed whenever I go in there and I know my friends do too! There's something about heading into such a place which just instantly relaxed the mind and eases any stresses you may have. The staff are just so lovely too, always happy to help you out and out you at ease should you be feeling a bit nervous. 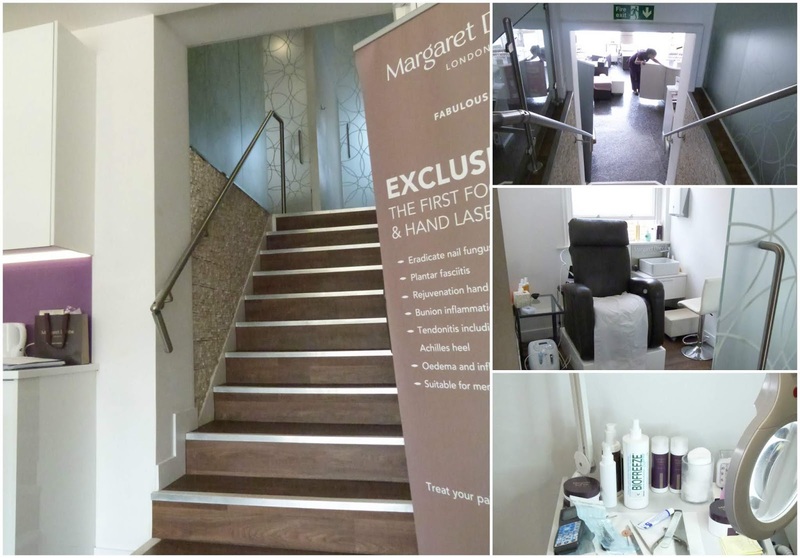 All of the team have been specially trained by Margaret herself to ensure only the highest standards throughout your treatments are met and held. You can rest assured that each member of staff is only the very best to deliver the highest results. To go with my treatment I was very kindly gifted a number of products to help me keep my feet (and hands) in tip top condition at home. 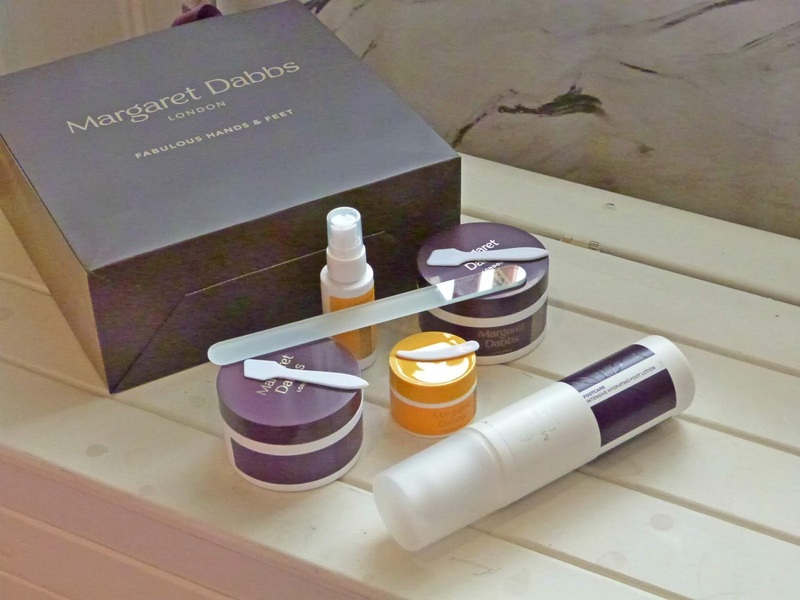 The Margaret Dabbs London products are the first true, expert-led beauty regime for hands and feet. They're sold at some of the most premium and respected retailers globally and the specialist treatments are performed at leading hotels and spas worldwide. This innocavtive, unique fusion of beauty and health for the hands and feet bridges the gap in the market, celebrating beauty, luxury and the effectiveness that comes from years of hand and foot expertise. This is the first true beauty regime for feet, the luxurious, effective foot care products have been expertly formulated to give you healthy and fabulous feet. Using Emu Oil for its anti-ageing, moisturising and healing properties and wonderfully scented with lemon myrtle, these products will give amazing long lasting results and beautiful feet. Anti-ageing, luxurious hand range, expertly formulated to give you healthy, fabulous and more youthful looking hands. Utilising pure Emu Oil, known for its anti-ageing properties, plant extracts to maintain the moisture level of the skin and scented with geranium and mandarin, these products will repair and transform the delicate skin of the hands whilst helping to protect them against the effects of ageing. 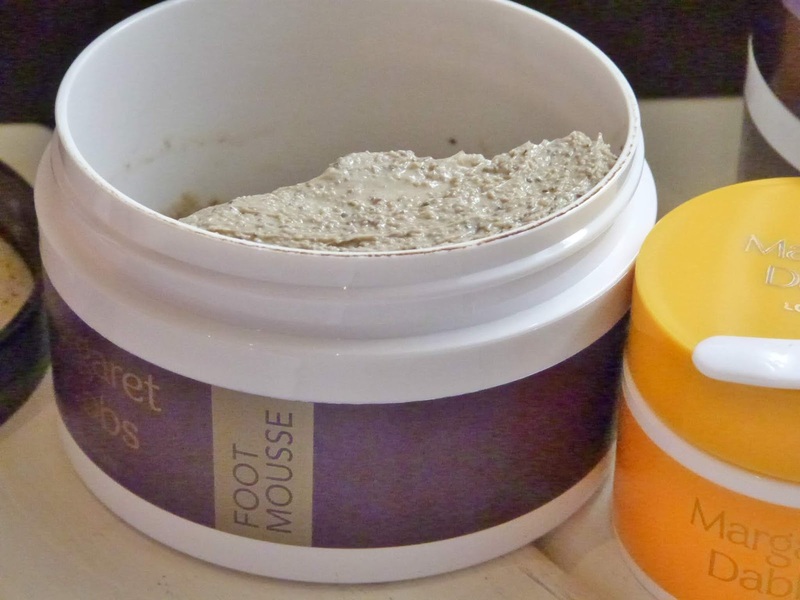 Made with ground Tea Tree Leaf and Pumice granules to scrub feet to perfection. Concentrated, creamy texture, removes dead skin and replenishes with Emu Oil, illuminates and conditions the skin. Luxurious creamy, light and non-greasy, immediately absorbs and visibly illuminates the skin. 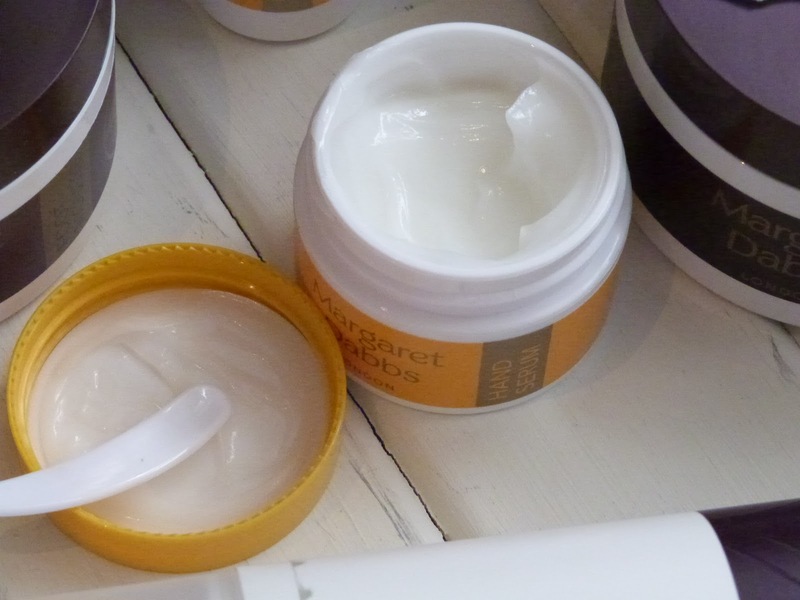 Deeply nourishing and softening, helps to reduce hard skin build up, moisturises and soothes skin. Multi-tasking balm to help relieve symptoms of athlete's foot, itchy, sore, dry, cracked blistered skin and discoloured nails. Contains anti-fungal, anti-bacterial and anti-inflammatory qualities, perfect hygiene measure for sports and sweat prone feet. Rich in Emu Oil to deeply moisturise and promote skin renewal. Helps to eliminate foot odour. Smooths and seals the tip of the nail, protecting the nail and reducing the risk of infection, the finest highest quality abrasive crystal finish protects the nails, making them less prone to splitting and can be used on both finger and toe nails Slim, elegant and effective to use. A unique antibacterial hand sanitiser enriched with Emu Oil and plant extracts. Retains the skin's moisture while cleansing, leaves hands feeling hydrated, clean and refreshed. Anti-ageing, fast absorbing serum, reduces wrinkles, age spots, and creates a more even skin tone. 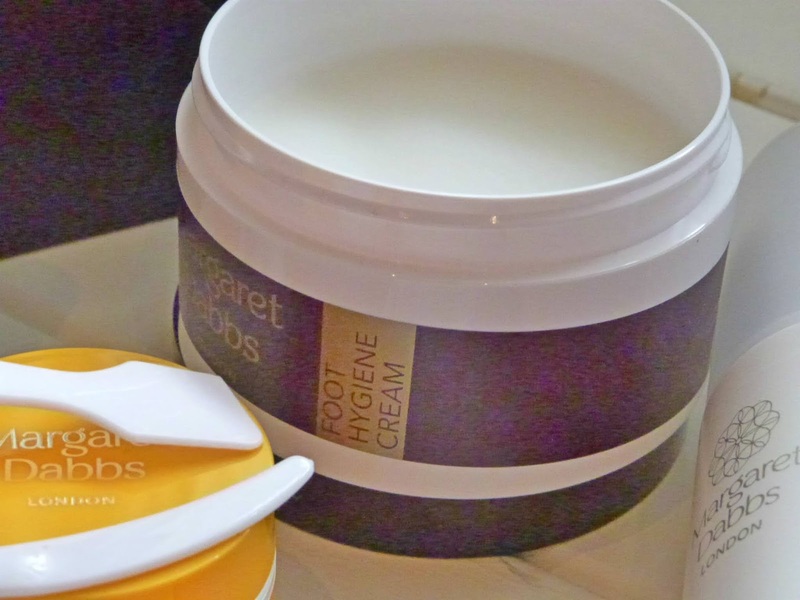 Improves skin circulation, increases skin elasticity and firmness, leaves hands visibly silky, smooth and replenished. Has won a CEW Award for Beauty in 2016. I love all of these products so so much, they always leave my hands and feet feeling so so soft and nourished whenever I apply them. 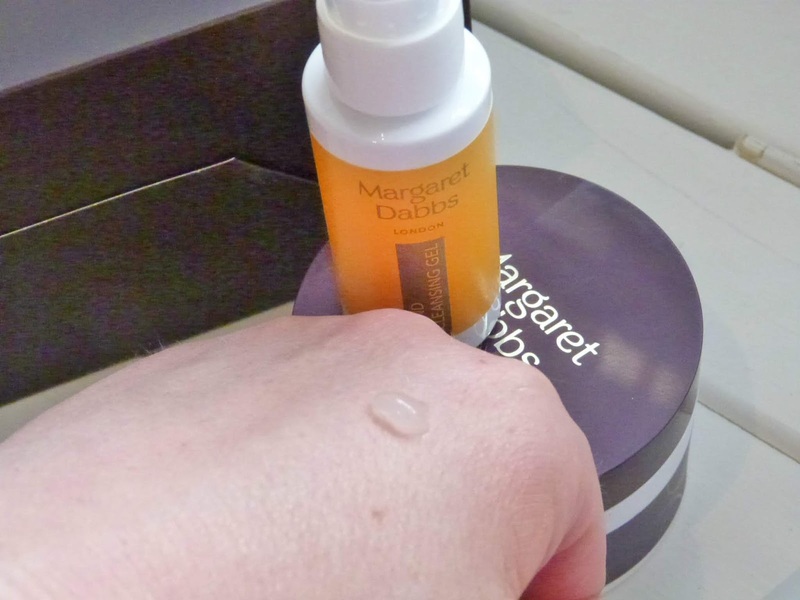 I have previously also tried the Intensive Treatment Foot Oil which is a unique dry oil designed to instantly treat and transform very dry, cracked and flaky skin and nails. Provides instant nourishment and intensive and immediate hydration to the skin. Contains anti-bacterial, anti-fungal and anti-inflammatory properties and also illuminates the skin. I used this last time I went to the salon and had a taster of the Medical Pedicure and my feet loved it! I was really sad when it ran out, I even took off the pump of the bottle to get the last remaining drops! Perhaps I will need to pop down and buy another bottle.....! I can highly recommend this Medical Pedicure if your feet are needing a bit of attention this Summer! 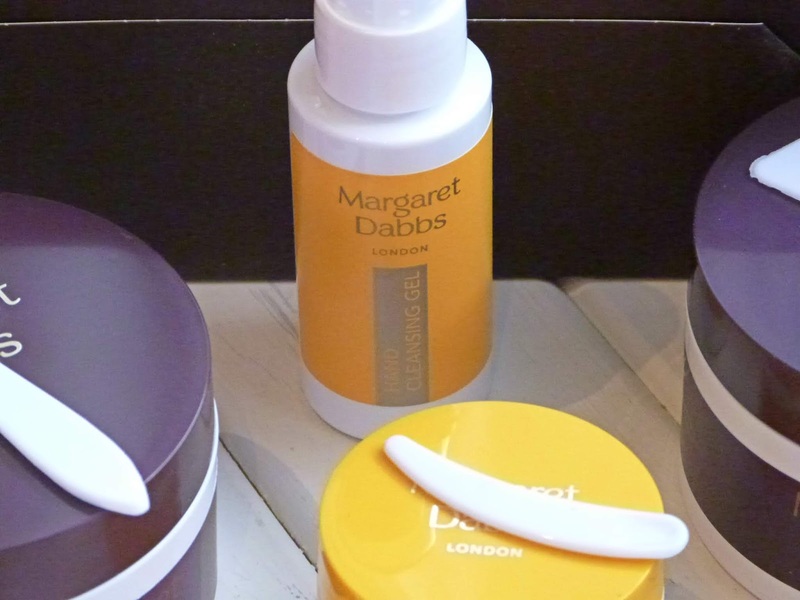 The team down at the Margaret Dabbs Salon in Harrogate are so welcoming and will look after you so well so please do give them a call or pop in and book an appointment, you'll not be disappointed! 9 Montpellier Parade, Harrogate, HG1 2TJ. *Treatment received in exchange for this review and a feature on Instagram all photos and opinions my own.